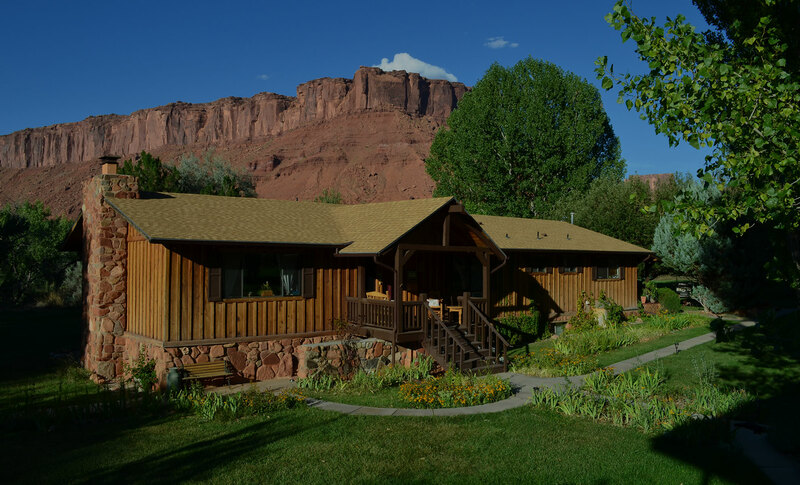 Castle Valley Inn | Visit Moab, Utah today! 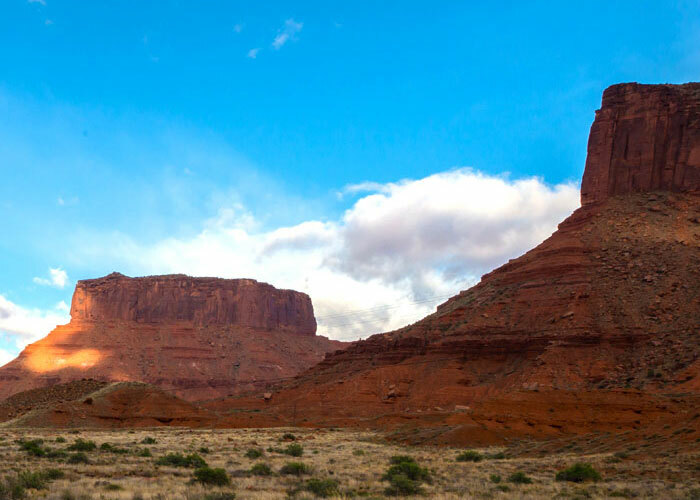 Nestled in the heart of the American West, and a breathtakingly scenic drive just 16 miles outside bustling Moab, you’ll love the oasis that is Castle Valley Inn. At this wonderful bed and breakfast, you can indulge in delicious, homemade breakfasts and pastries; relax and unwind in beautiful, spacious, American West-inspired guest rooms; explore with a child’s delight the nearby trails and National Parks; and take advantage of 5 acres of carefully tended lawns, orchards and fields – all the elbow room your heart needs to take in vistas of such grandeur. And if you want a sneak peak, we think you’ll love this bird’s-eye video that captures the views that help make this bed and breakfast such a delight! 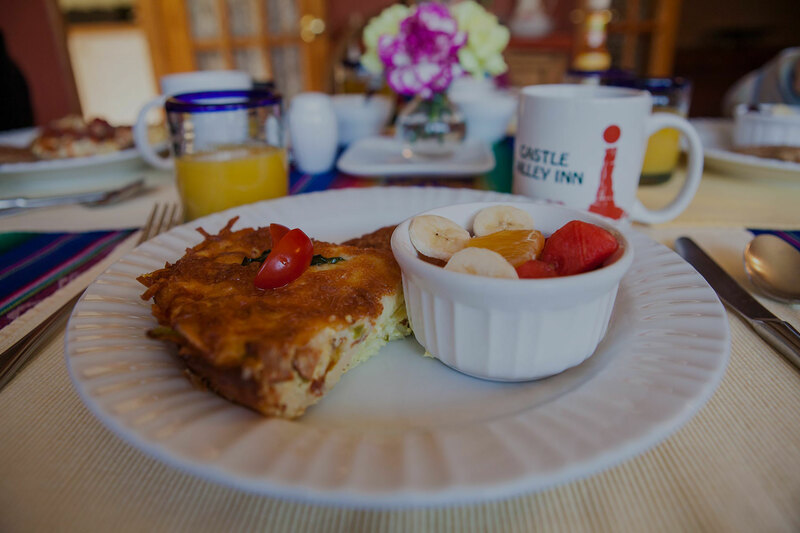 At Castle Valley Inn, we offer you a place to slow down and unwind in informal comfort. Here, the distractions of city life will seem far away indeed! 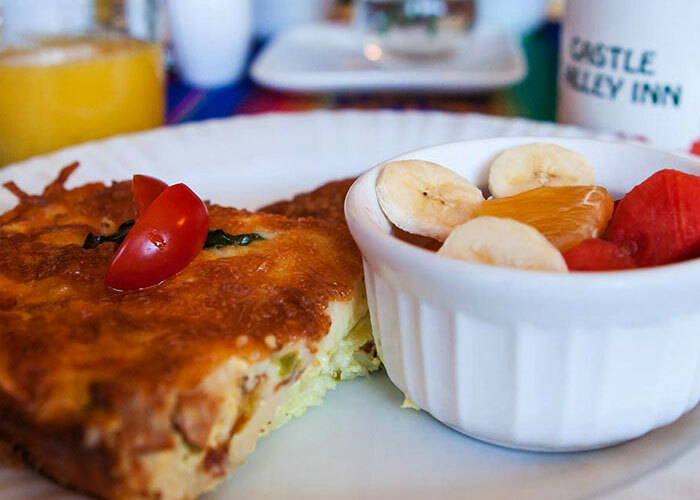 From scrumptious breakfasts to complimentary hot and cold beverages to insider tips on all the best local activities, you may find you won’t want to leave. We provide free access to wi-fi if you want to stay connected. Soak in the Grandview hot tub at the end of the garden, perfect when there’s a chill in the air. 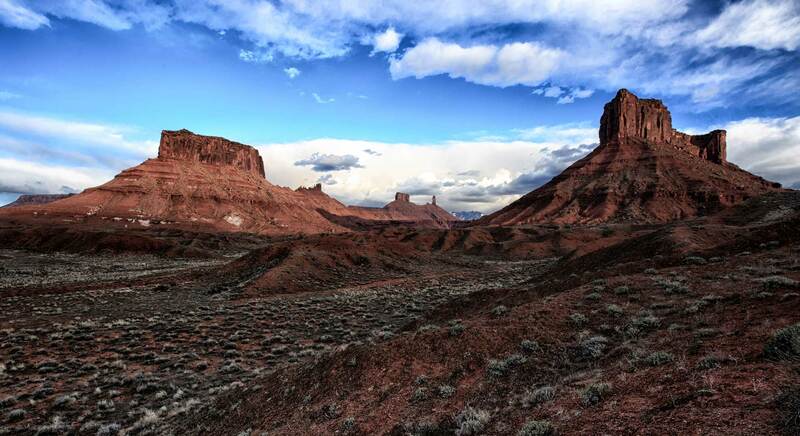 Take in the red rock and mountain silhouettes that surround you. Just in time for your afternoon coffee or tea, you’ll be asking for the recipes so you can make these treats at home. Whether you’re lounging in a hammock, reading under a tree or breakfasting on the deck, the views are awe-inspiring wherever you go. 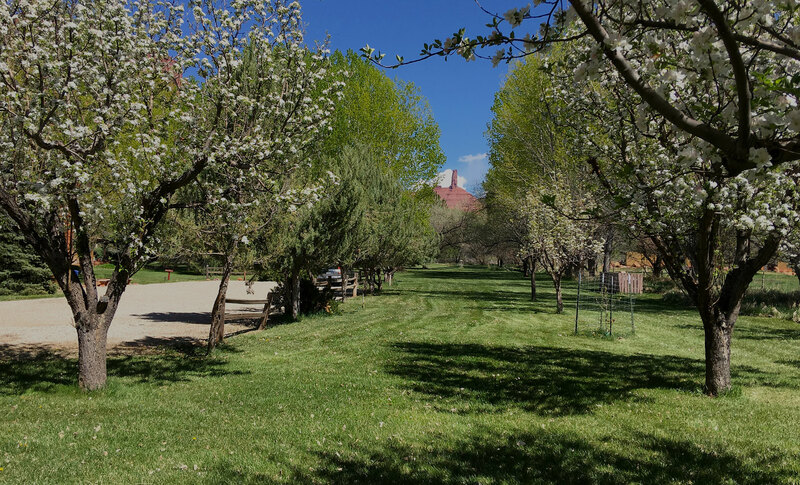 Explore our 5 acres – plenty of elbow room to take in vistas of such splendor. 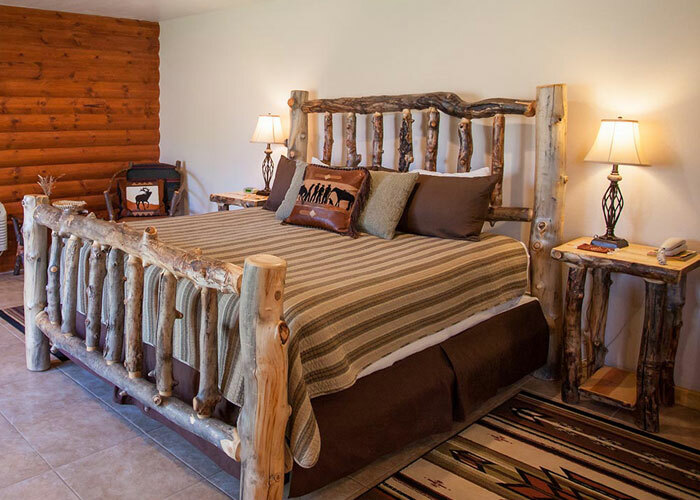 From exquisite humming birds to ring-necked pheasants, you’ll love the birdlife at Castle Valley Inn. 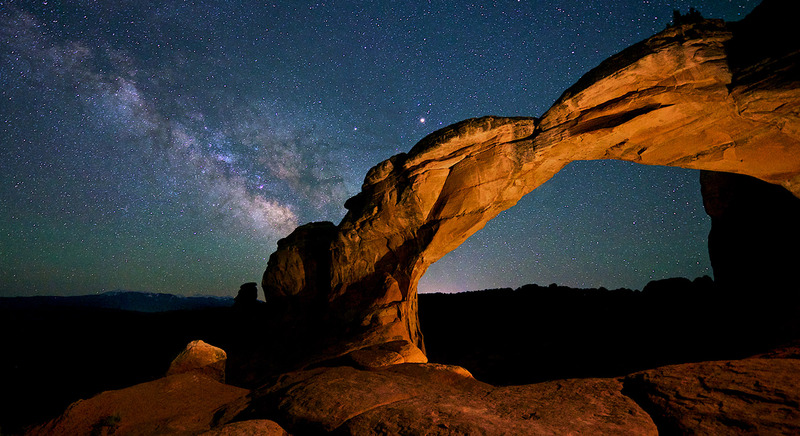 And, if you want unpolluted night skies, you’ll be hard pressed to find heavens so magnificent.